Currently Only Color available Black and Blue. Swimming Anti fog Goggle. Ultra fit adjustment. Ideal for swimming purposes. Highly recommended for swimming lessons. Made from high quality material. Long lasting and durable product. Competition Vanquisher Swim Swimming Anti-Fog Goggles. 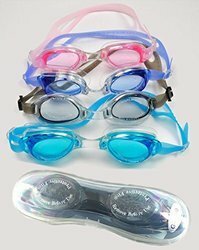 We are a unique name in this industry to provide our prestigious clients an exclusive range of Anti Fog Swimming Goggle. Crews goggle with antifog coated lens with foam lining from inside. Antifog goggles in gud quality. Our company is the foremost in offering Anti Fog Swimming Goggle. 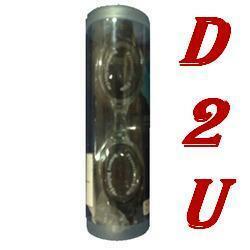 In order to meet excellent quality standards, we are supplying Anti Fog Swimming Goggle. We are amongst the most reputed names in the industry, offering Anti Fog Swimming Goggle. 1. Anti-fog -The anti-fog property of these goggles ensures that you have a clear vision underwater. Presents lightweight and ergonomic shape design.● UltraFAST Buckle, side buckle system makes the strap adjustment easier and quicker.● -comfortable fitting experience.● Anti-FOG keeps fog-free and provide longer usage.● SILICONE HEAD STRAP● Soft flexible silicone seal provides maximum comfort. - ★★THE SAFEST MATERIAL: Safety and odorless silicone sealed gasket and goggles strap, which is especially recommended foryour children.